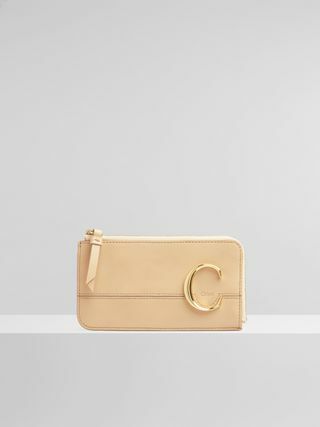 Small Tess bag in smooth calfskin with a mix of little horses embroidery & debossed Baroque "C"
Drawing on two of the Maison's emblematic symbols, this small Tess bag is crafted from smooth calfskin revealing the little horses embroidery and debossed Baroque "C". 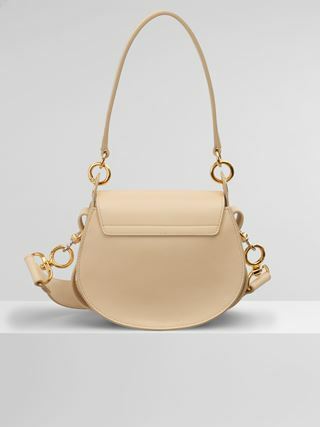 The sophisticated round silhouette is highlighted by the bold leather band contouring its base. 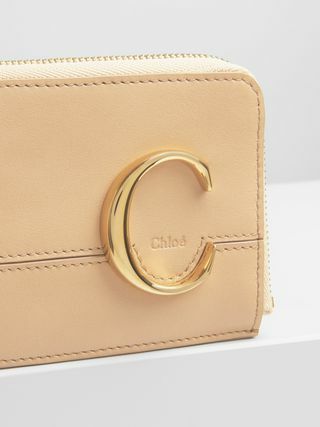 The striking front loop showcases Chloé's "O" signature. 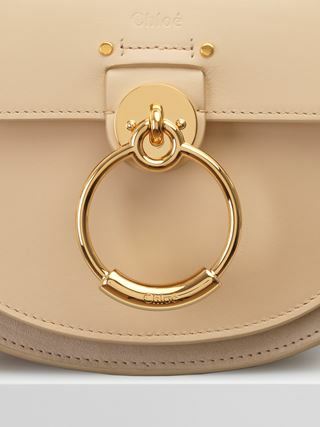 The bag features a roomy interior making it ideal for day-to-day use. 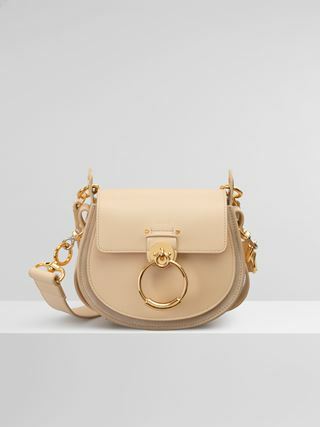 Double straps – one short and one long – are secured by feminine hooks in gold and silver tones.